Based on frequently asked questions at the store there's a lot of confusion surrounding Ruby-throated hummingbirds and the first few months they are here. 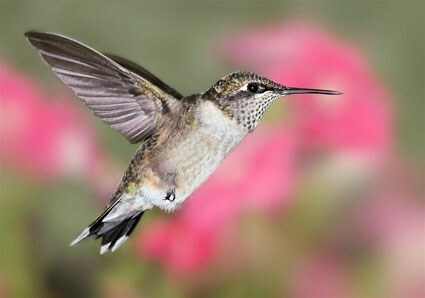 It is true Ruby-throated hummingbirds begin migrating through and into TN as early as mid-March. This year the first reported sighting by a customer was March 30. 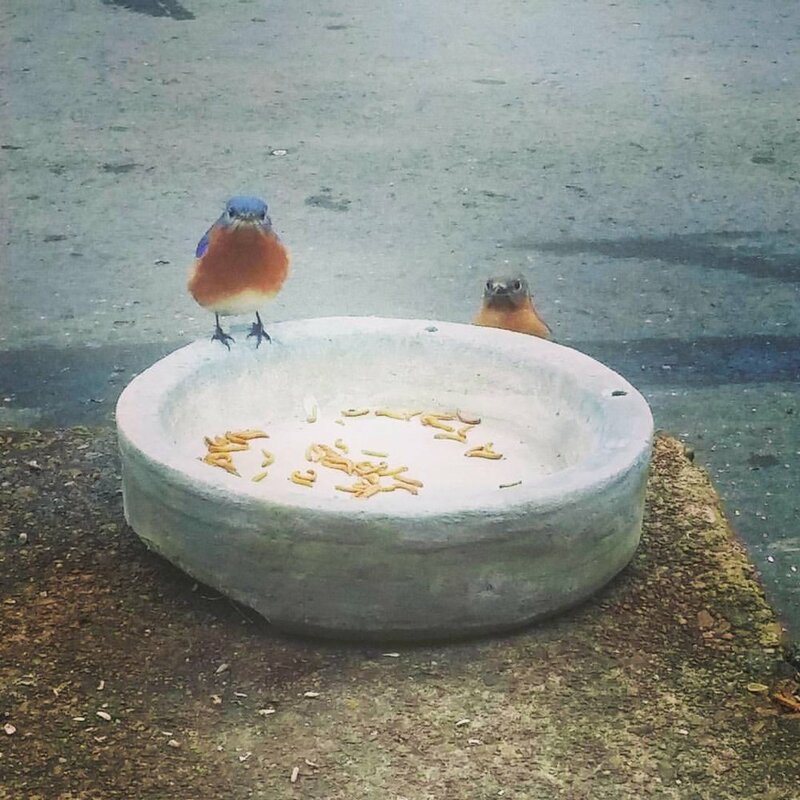 My first sighting was April 6th. By the way, I've recorded first of spring (FOS) hummingbird sightings for over 20 years and it's always between April 3 and April 12. And it's always been an adult male. 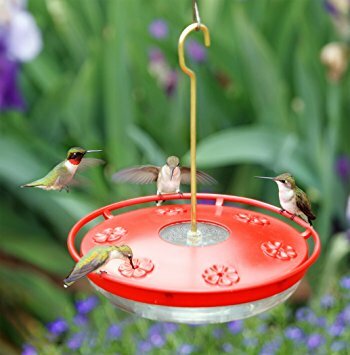 Although all Tennessee, summer resident hummingbirds are here by mid-May, most people will see very little of them and activity at feeders will be minimal and infrequent until at least early to mid-July when there is a sudden surge in activity. It is thought by many the reason for this sudden surge is they have just "come back" from where they've been. Actually, it is that the summer resident hummingbirds have concluded raising one or even two broods of offspring and are ready to begin taking advantage of the free nectar in the feeders you've provided. Also, the added activity is indicative of recently fledged hummingbirds beginning to understand and visit the feeders. It must be remembered, hummingbirds don't travel all the way from central and south America because there are hummingbird feeders here. 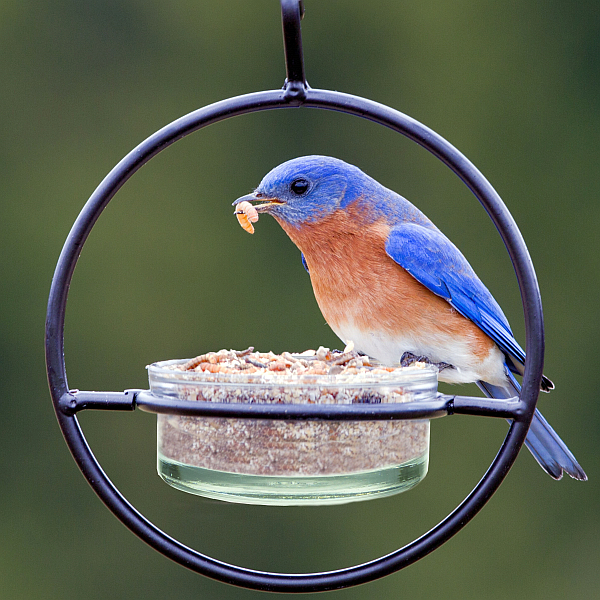 They do not NEED the feeders but will certainly take advantage of them when they are ready. 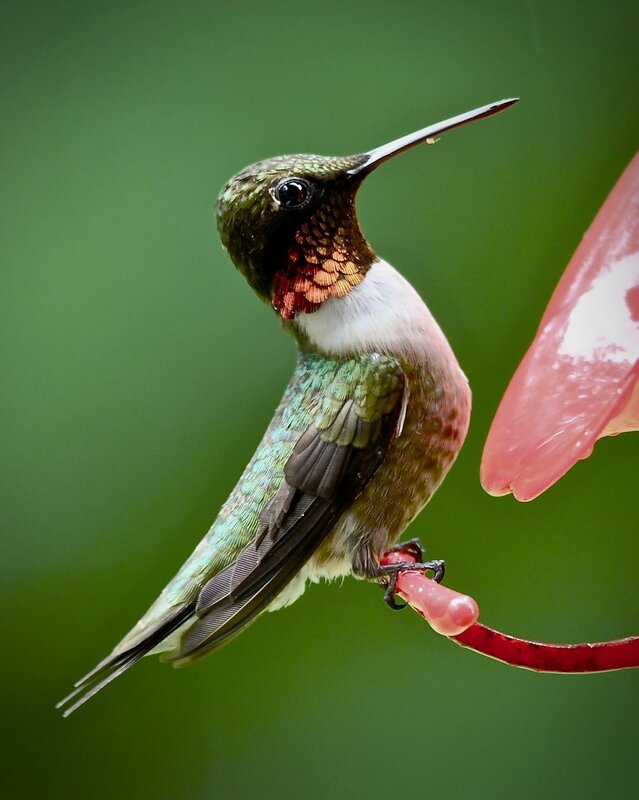 Hummingbirds have been migrating here for a few thousand years to breed and to take advantage of the abundance of insects, which is their primary food source. 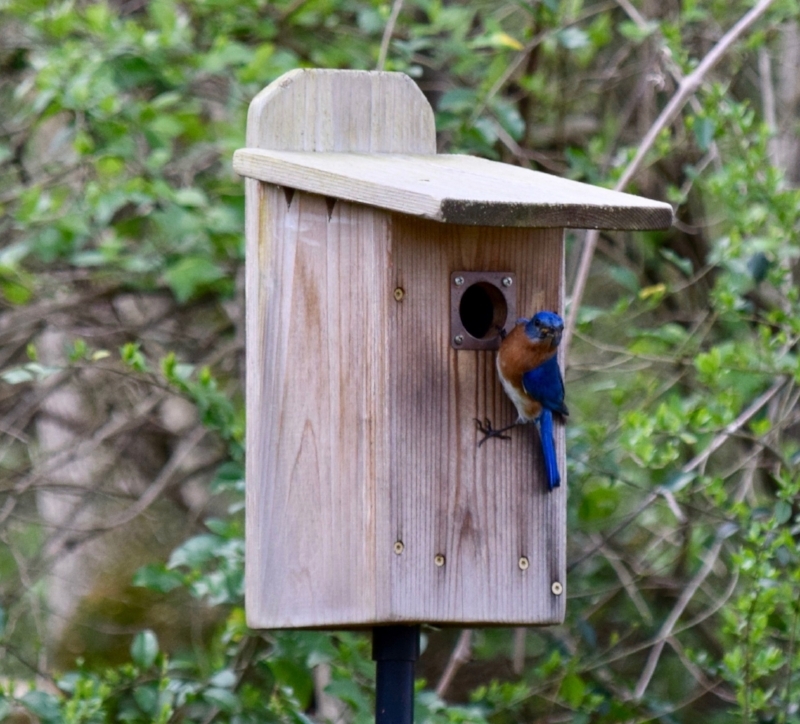 They would come here even if hummingbird feeders did not exist. 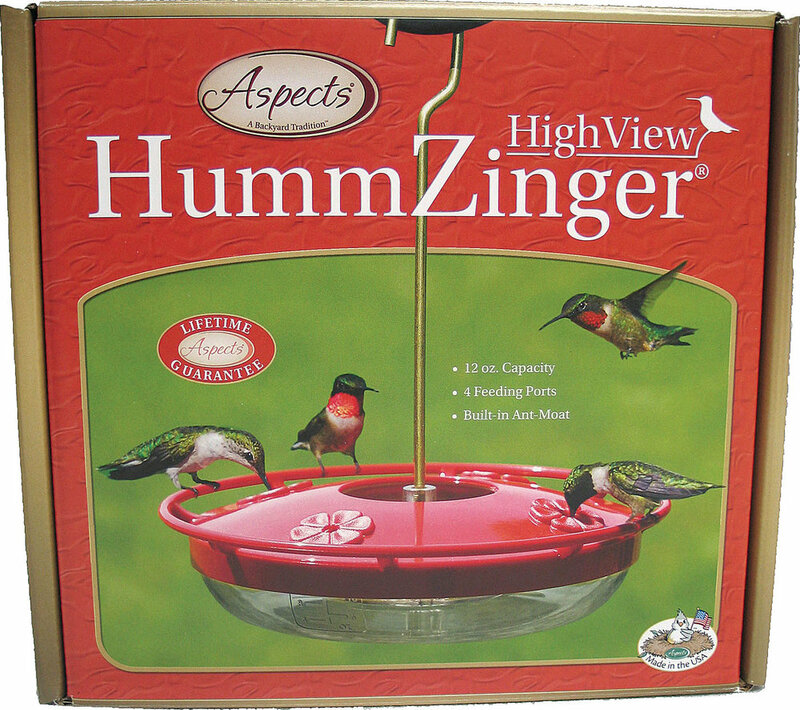 Since hummingbirds feed on small insects an alternative way of feeding them is available. Try placing some fruit in a mesh sack and hang it near your hummingbird feeder. The fruit will draw fruit flies which the hummingbirds will readily devour. It is quite interesting to see a hummingbird dart its specialized tongue out to snag the flies. 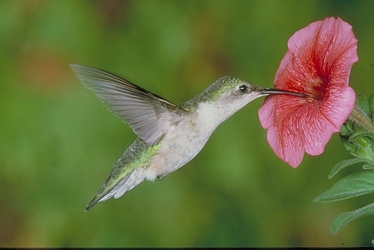 A question frequently asked at The Wood Thrush Shop is “what nectar is best for hummingbirds”? 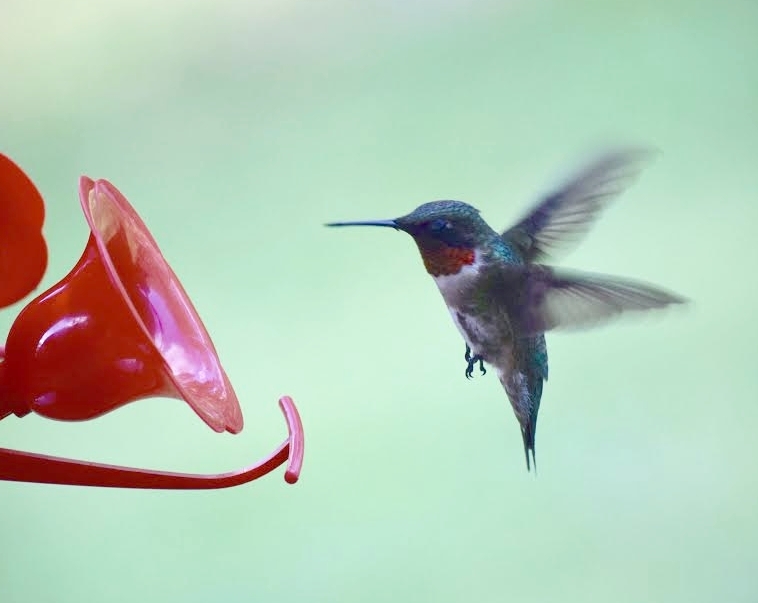 The best nectar you can offer hummingbirds is a simple 1 part sugar to 4 parts water solution. It is not necessary for the water to be brought to a boil before adding sugar. The nectar is ready after the sugar has been stirred in and fully dissolved. Do not add color. Color is absolutely unnecessary and potentially harmful. When hummingbird feeding activity is slow, like it tends to be in early spring, make small amounts and avoid refrigerating large quantities. Think in terms of making fresh nectar each week in small amounts until feeding activity becomes vigorous, like it does in the latter summer months. This is when it makes sense to make larger batches and refrigerate extra nectar. The peak time for hummingbird feeding activity typically starts mid-July and lasts through September, and even into October.